Some 230 competitors from Mexico, the Americas and Europe are expected at this, one of the top five competitions of its kind in the world thanks to the excellent natural conditions of the bay area and the infrastructure of the Riviera Nayarit. The 7th Riviera Nayarit Wind Festival will take place on May 20-22 in Bucerías. 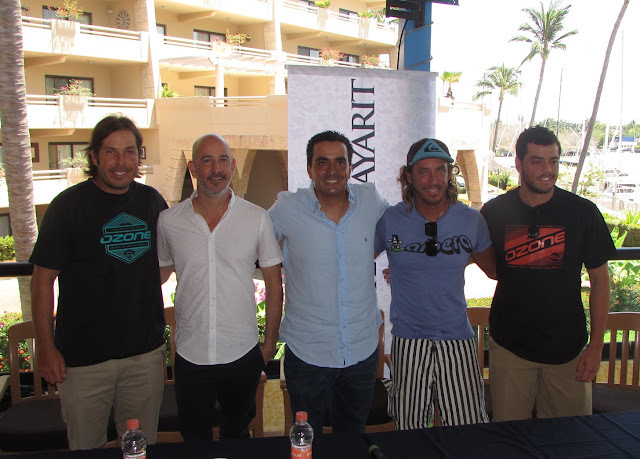 The tournament is part of the Mexican Kiteboarding Association series and is the only one worth two points, making it the most important in the country. The Wind Festival activities include the DownWind race, where all the participants strive to take first place in the trajectory from La Cruz Huanacaxtle to Bucerías, plus the spectacular Freestyle, Long Distance, Slalom and Big Air races. The competitions take place every day from noon to 7 p.m. Categories include Junior, Senior, Master, Grand Master and Women’s. This year the total number of participants is expected to surpass the 197 competitors from 2015; so far there are 230 athletes registered from Mexico, the United States, Canada, France and other countries in the Americas and Europe. As a sport, the Wind Festival is classified among the top 20 events of its kind in the world, but thanks to the infrastructure of the Riviera Nayarit, it actually competes among the top five on a global level. There are six climate-monitoring stations between Punta de Mita and Nuevo Vallarta, and the AMK is preparing to place another two over the next month or so to assist the athletes who rely on the wind and sea conditions for their sport. For more information on the competition please visit the official website at www.festivaldelviento.mx.